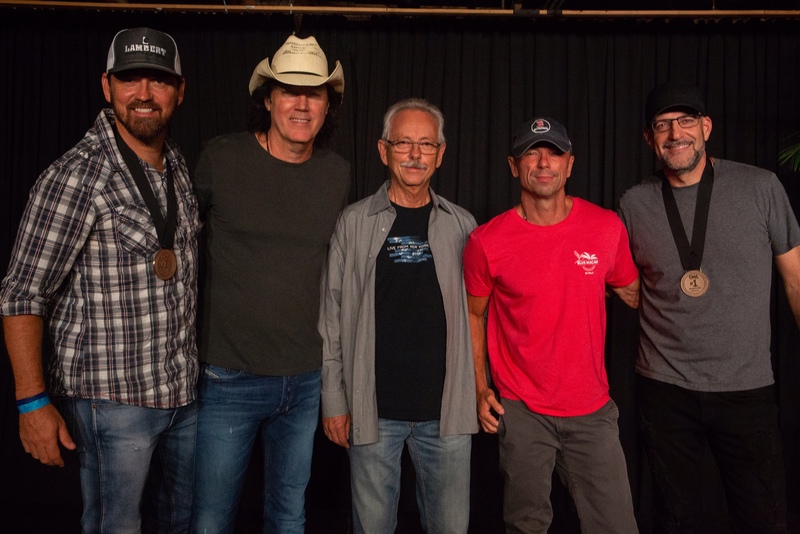 Nashville’s ACME Feed & Seed on Lower Broadway was infused with tropical vibes on Wednesday (Aug. 8), as members of the industry gathered to celebrate David Lee Murphy and Kenny Chesney‘s No. 1 success. “Everything’s Gonna Be Alright,” recorded by Murphy and Chesney, was penned by Murphy, Jimmy Yeary and Chris Stevens. The single is the first release from Murphy’s Reviver Records album No Zip Code. 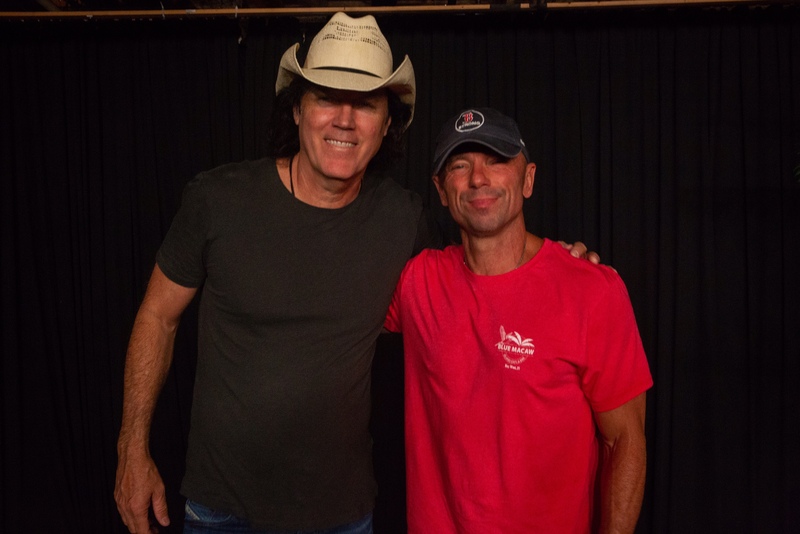 Following his string of hits in the ’90s (including “Dust On The Bottle” and “Party Crowd”), Murphy has penned numerous country hits for others, with songs recorded by Chesney, Jason Aldean, Dan+Shay, Midland, and Thomas Rhett. This collaboration with Chesney marks Murphy’s first return to No. 1 on the country charts as an artist in more than two decades. 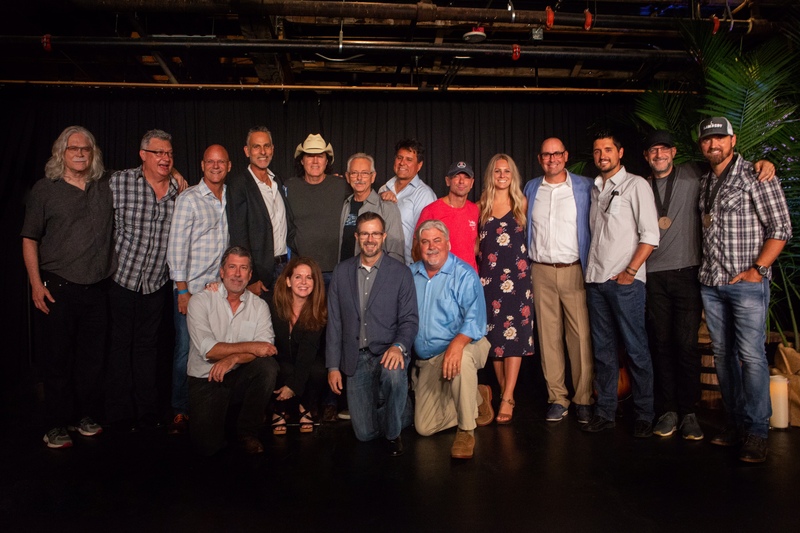 Among those celebrating were “Everything’s Gonna Be Alright” co-producer Buddy Cannon, Joe Galante, ASCAP’s Michael Martin, BMI’s Leslie Roberts, THiS Music’s Rusty Gaston, Sony/ATV’s Troy Tomlinson, Reviver Records’ Gator Michaels and David Ross, MusicRow Magazine’s Sherod Robertson, as well as the Country Music Association’s Sarah Trahern and Brandi Simms. Capitol CMG Publishing is also a publisher on the song, but could not be in attendance. Chris Stevens has earned several Grammys and BMI Christian Awards for his work on Contemporary Christian songs including TobyMac’s “Steal My Show,” but “Everything’s Gonna Be Alright” marks his very first country No. 1 song. Replicas of Chesney’s signature old blue chair were placed strategically around the room. The walls were decorated with backdrop-sized photos of Chesney and Murphy, which chronicled their years as both friends and songwriters. The room was filled with good spirits–both from the glow of celebrations, and from the signature Blue Chair Bay Rum cocktail created just for the event – an Everything’s Gonna Be Alright Mojito, which contained high proof white rum, mint, lime and a bit of sugar. Chesney, who co-produced Murphy’s album, was a champion for Murphy and for the song, and said he feels that same passion in return each time he joins in singing the song for fans on his Trip Around The Sun tour. “To stand up there in front of 50,000 people every Saturday night, and see a song truly move people, to really feel it is something. This song made me believe in that all over again, because to experience that is really, really beautiful.” Chesney said. The celebration is another high-mark this week for Chesney, whose own album Songs For The Saints, currently reigns atop the country albums chart. Chesney will bring his Trip Around The Sun Tour to Nashville this weekend.